On November 15th, partner Erin Ezra and associate Andrew Wyatt served as attorney panelists for Chapman University. 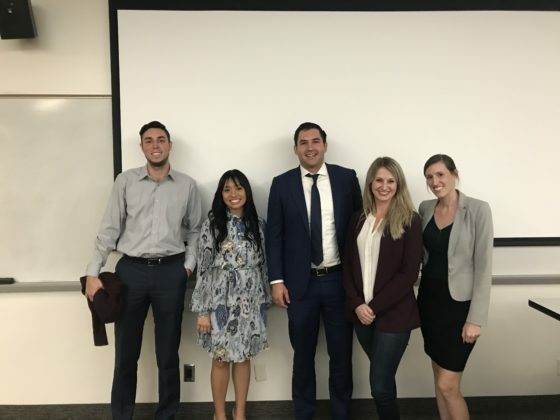 The Q&A event was hosted by the Chapman University Pre-Law Society where Berger Kahn legal and billing assistant, Hannah Hong, serves as the Director of Events. Erin and Andrew spoke about their law school experiences, gave individualized advice to aspiring law students, and provided insight into the realities of legal practice and life as a lawyer. Erin and Andrew enjoy volunteering their time to help prepare and encourage students to pursue a future in law.